This week after uploading a new header to my Facebook page, I waited for comments of recognition, or at the very least questions of the bird species, without displaying the information in the image like I've done below. I received some comments and likes, but I'm not sure anyone recognized my image of whooping cranes, an endangered species. Actually, when we first saw them on our evening walk, we weren't even sure if they were whooping cranes. 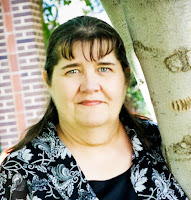 We had just passed the shelterbelt and our farm sign and were faced with a wide open eastern view of the prairie when movement across the road in a marshy area caught our eyes. We spotted the 3 cranes and I was ecstatic. And then, in our excitement, we moved too close and they took flight. Seeing them fly was beautiful, but I felt guilty that I chased away these beautiful creatures who had stopped to rest on their 2,500 mile migration from Aransas, Texas to Wood Buffalo National Park which straddles the border between Alberta and the Northwest Territories. 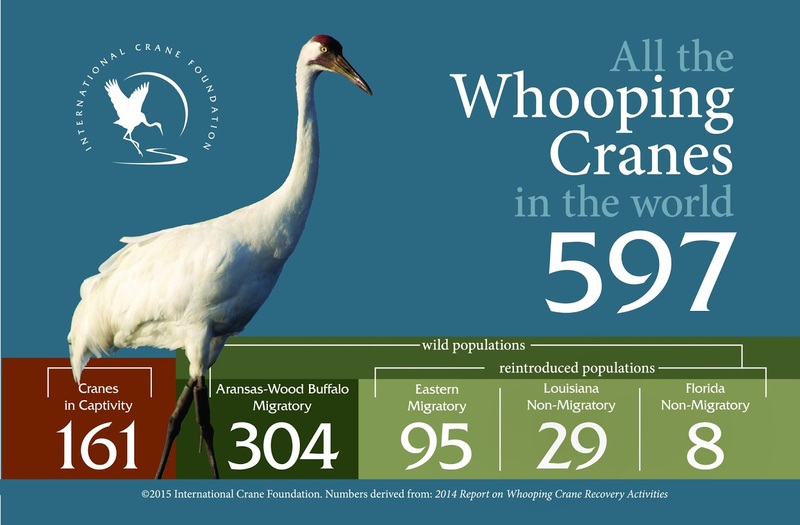 You can understand how special we felt when you realize whooping cranes were placed on the endangered species list back in the mid 1940's when biologists placed their population at 21, although National Geographic puts the number as low as 16. And no, there are no zeroes behind that number. I've marked the location of our Montmartre, SK farm on the above map (Map courtesy of the International Crane Foundation). The cranes in my images are among the last of the naturally occurring whooping crane stock. Biologists suspect there were over one thousand whooping cranes in the 1800's, but their demise is believed to be due to hunting and egg collection as well as the influx of settlers who plowed the native prairie after draining the wetlands to make them arable. Once they are old enough, they are trained to fly by following an ultra light plane, much like Canada geese did in the movie, Fly Away Home. Whooping cranes don't begin to breed until they are 3-4 years old, and then it is only to a mate whom they've bonded with which can take another 3-4 years. Like humans, cranes like or disllike other cranes on sight and the female won't breed unless she feels an affinity to and has bonded with a certain male. Once bonded, they mate for life which can be 22-28 years. Whooping cranes have 3 different sounds depending on their activity and you can listen to them all at the savingcranes.org site, or you can play my video and hear what sends me running outside with my camera. I can hear cranes coming from about half a mile away if the wind is right, and although they are usually the smaller sandhill cranes, they make the same sound as the whooping cranes. Sometimes they come in a V formation and I have to zoom in close to be sure they're not geese, but once they start circling, I know they're cranes. They go around and around many times and I lose sight of them, but then their pre-historic crawking sound draws my eye once again. This video shows about 3 dozen sandhill cranes circling which I suspect is their way of conserving energy. They certainly cover a lot of ground doing it.. In this next video if you ignore the wind and the blurry flock, you can hear the sound they make while flying. My camera refused to focus on the fast cranes. Whooping cranes remain on the endangered species list although their population is slowly increasing through these breeding programs. You can help make a difference. 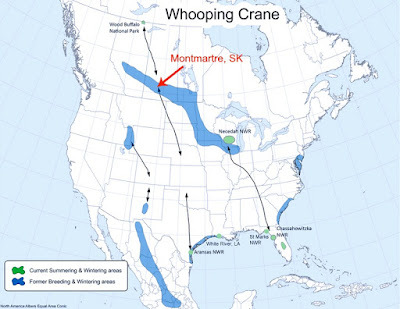 This Saturday, on April 16th, is Crane Spotting Day of Sandhill and Whooping Cranes in over 90 counties in six states of the upper Midwest (Wisconsin and portions of Illinois, Indiana, Iowa, Michigan, and Minnesota). If you'd like to help out with this Crane Spotting survey, here's what the International Crane Foundation advises... New volunteers interested in taking part in the survey should first contact their local County Coordinator for instructions. Click here for a listing of 2016 County Coordinators, or contact Sara Gavney Moore, Communications Specialist, 608-356-9462, x155. Even though there isn't a Crane Spotting Day up here in Canada, you can be sure I'll be sitting at my bistro table on my south-facing patio all day Saturday to join in the count. My only problem is being able to identify a whooping crane from a sandhill crane while they're flying! 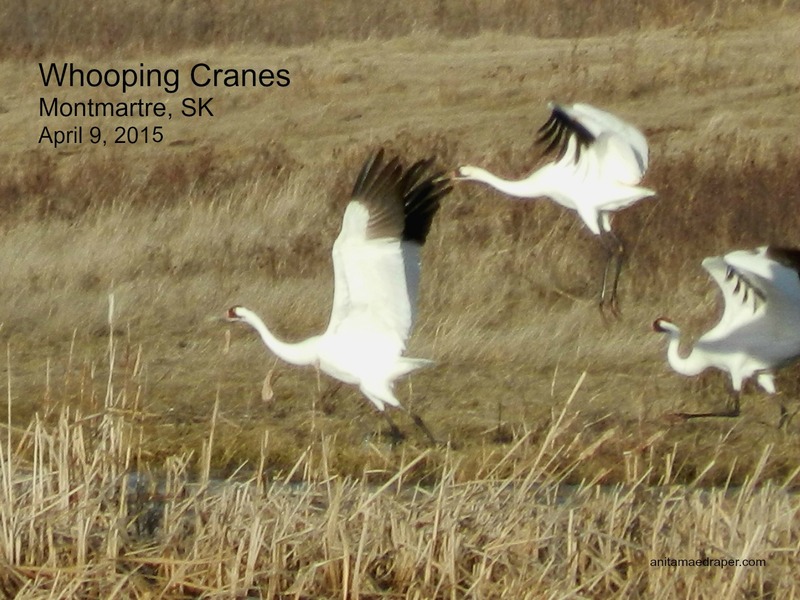 Did you hear about the whooping crane pair that was shot recently? The pair had bonded and would begin breeding in the next year or two. Such a heart-wrenching waste. Very nice, Anita. And sad, too. I knew they were endangered but didn't know how few there are. My cat was quite interested when I played the sound video!